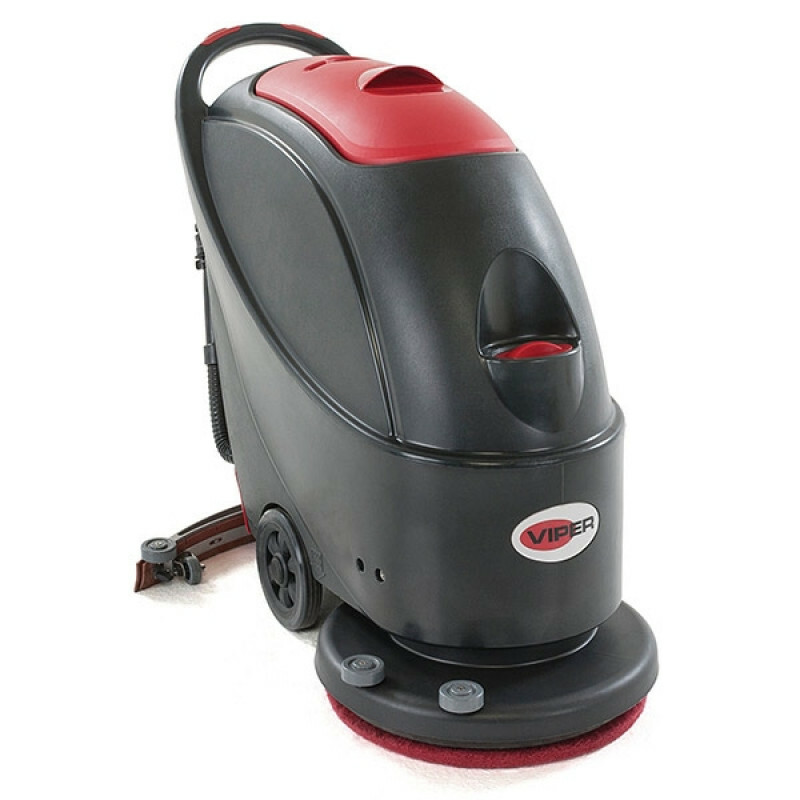 The Viper AS510B is a 20 inch automatic floor scrubbing beast! With a 10.5 gallon solution tank, you can scrub over 15,000 square feet per hour. 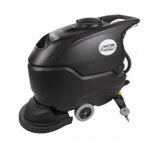 Comes with your choice of brush or pad driver for smooth or uneven floor scrubbing. On-board charger and two AGM maintenance-free batteries also come with the machine. All of these features, plus this machine ships for free to any location in the continental U.S. Not much else in the industry can touch the value of this machine! This rugged machine is engineered to withstand heavy duty daily use in commercial applications such as schools, grocery stores, office buildings and medical facilities. The pad driver and/or brush helps pull the machine along as you scrub so minimal effort is required by the operator. A follow behind squeegee system leaves the floor dry to the touch after scrubbing. For other great Viper machines, please take a look at our full line of Viper walk behind and Viper ride on auto scrubbers. Easy to use: The built in charger, reduced pushing force and ergonomic start/stop switch gives the user a better handling of the machine. Simple & user-friendly: The solution and recovery tank is integrated into one mold to create higher tank capacity. Great value: Comes with a pad driver or brush, on-board charger, AGM batteries, & a squeegee assembly. Durable: Brush and vacuum motors protected from water splashes during use for longer life. Efficient: Heavy-duty cast aluminum squeegee assembly leaves your floor dry to the touch after passing over it.